Bat Removal and Flying Squirrel Removal in South County RI - Licensed by Rhode Island DEM for Animal Removal Services. Call 401-455-0144 for service in South County RI or scroll down for local wildlife information on this area. BatGuys is a professional Wildlife Control Company that specializes in Bats and Squirrels. BatGuys provides expert Bat and Squirrel Removal Services in South County Rhode Island. 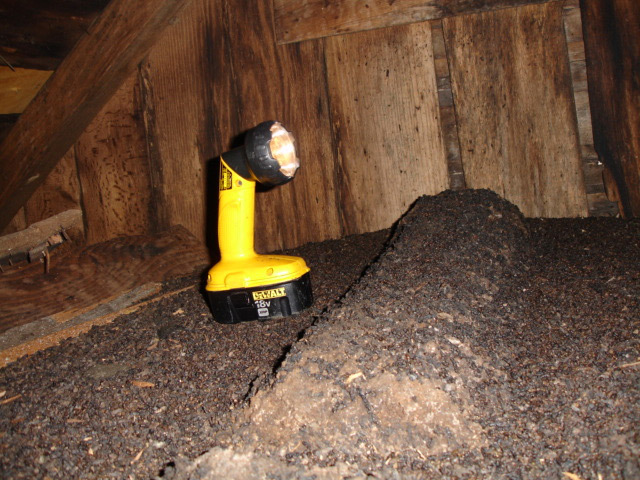 These pictures were taken while performing a bat removal service in South County RI. 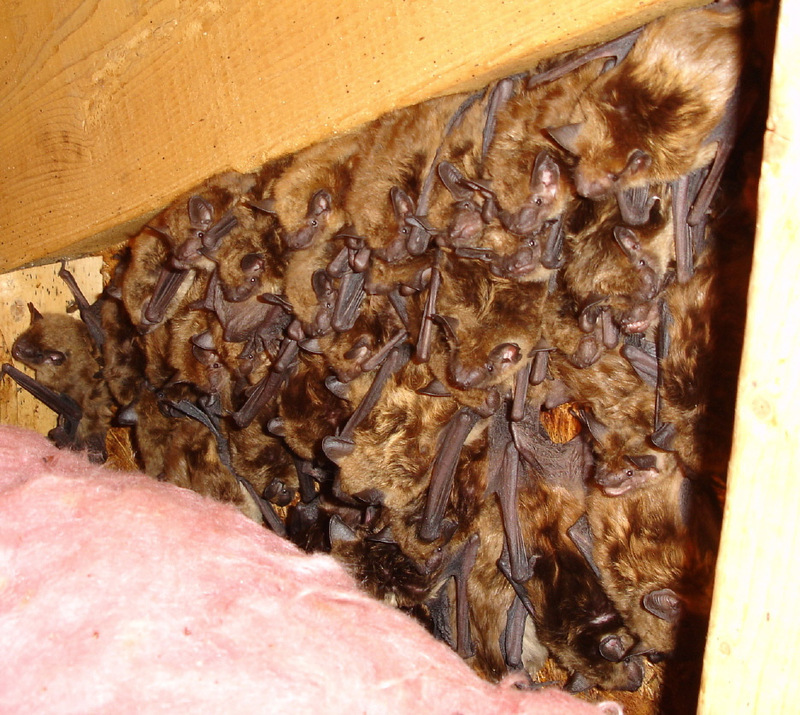 South County is home to large populations of native bats. Both the seasonal little brown bats and the year-round big brown bats reside in great numbers here. I have performed bat exclusion services all over New England and the largest colonies of bats that I have ever seen have been in South County RI. I believe that the presence of both species of bats combined with the large tracks of undeveloped land and plentiful food sources are the reason that this area is home to such great numbers of bats. The residential areas near the University of Rhode Island Campus and the shoreline areas in Matunuck RI are the areas that we usually see these huge colonies of bats. I particularly enjoy working in this area because of these large colonies of bats. We provide bat removal and exclusion services throughout this area. If you live in South County and are having a problem with bats in your home please give us a call at the number listed below. I'll be happy to discuss your bat problem with you. South County is also home to Gray and Flying Squirrels. We frequently get calls for gray squirrel removal in South Kingstown more than any other town in this area. There seems to be an abundance of these critters in that area. Flying Squirrels seem to be more plentiful in the wooded areas of Exeter, Richmond and North Kingstown. If you have any questions about these squirrels or would like to setup an appointment for a squirrel removal service in South County please contact us at the number listed below. Please note that we do not handle dog and cat issues. Please refer to your town's Animal Control. The phone numbers for these facilities are listed below.